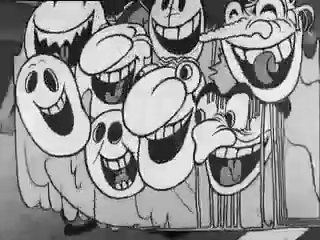 This animated sequence of 1930 (!) is definitely my all-time favourite. The most disturbing, the most ingenious, the most vivid—it is a must-see. However, due to the fact that everybody who was engaged in the production of this tiny treasure... well, their time had come before we could make out all the lyrics of the spooky version of the song. After an hour of web surfing, I came up with the complete version of the transcript. Sadly, I am by no means a native English speaker, so any feedback (in case you manage to decipher anything that was illegible or at least compose something very plausible, convincing and sound-alike) will be very welcome. Slightly uncertain parts marked in blue. Heavily illegible parts marked in bold red. Recovered lines are marked in green (thank you active viewers!). 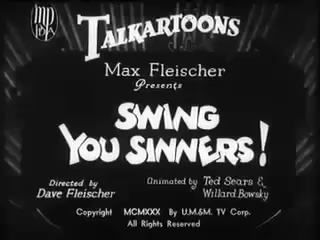 Please find the complete “Swing you Sinners” lyrics below. Let the Lord hear you shout. Then comes the overture to the mayhem. Good night, this is your finish, brother. You’re never going to get away. You’ll never rob another hen-house! You’ve sinned, and now you must ordain. And scatter all your bones away. I don’t steal no more! I don’t shoot no more! I don’t chase no more. Get ready, brother, your time has come! We’ve got you at last. Your finish is going to be fast. — Brother, you sure are gonna get your face lifted! — And a permanent shave! — Where you want your body sent? — Body? Huh! Ain’t gonna be no body! I shall be grateful to anyone who will help me bring this whole beauty together. Update 2014-04-04: Samuel St.Cyr suggested four restored lines. Merci beaucoup! Update 2014-04-19: Simol Regan deciphered the most illegible line and fixed a whole quatrain. What a great deed! Update 2014-05-03: Charles Anthony came up with a small refinement. Let’s thank him! Update 2014-05-31: Jed Wentz carried out some experiments with slow playback and shed light on two lines. Today he is the one who deserves kudos. Update 2018-02-18: Finally, owing to Tom Parkes and Jason Cullen, we have resolved the last ambiguity. Congratulations, you sinners! So much appreciation for your help! Now we can sing this entire extraordinary piece! Worth noting that the song is a take-off of ‘Sing You Sinners’ by W. Franke Harling and Sam Coslow, particularly as performed by Duke Ellington. Oh thank you very much! By the way, my favourite rendition of “Sing You Sinners” is performed by the High Hatters! 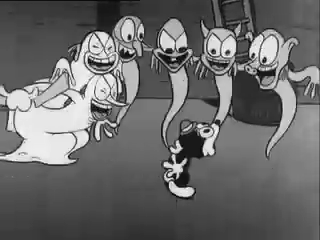 I’ve watched this cartoon dozens of times, and found this while searching for a lyric sheet. You should put this up on IMDB! One thing I’m sure of, is that he says “We’ll amputate your vo-do-de-oh”. This is just a nonsense jazz word but it’s understandable what he’s talking about. Thank you for your suggestion! 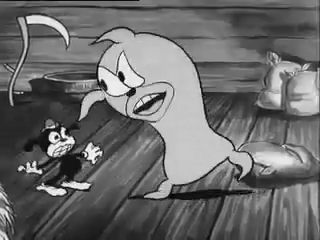 I re-watched the cartoon for the 78th time and found that your corrections are very precise. Well, it seems strange to amputate one’s bottom, doesn’t it? The “vo-do-de-o” is commonly found in 1930s’ songs, so it is highly likely. As for the IMDB, the time hasn’t come yet. There still are some disputable fragments that should not go online until they are clarified! The eloping chickens from the penultimate quatrain are somewhat confusing. 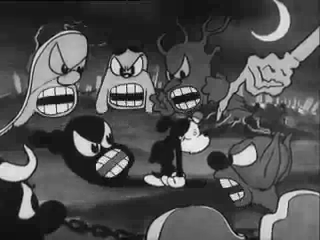 So let’s wait for extra feedback from the lovers of Fleischer’s cartoons! If we hit the jackpot, some descendant of those creators might have it taken down in its perfect form. You’ll never learn to get away. Till we fix up the noose. The suggestion ‘quail in your boots’ makes sense, but I cannot hear it when I listen to the soundtrack…it is very frustrating! 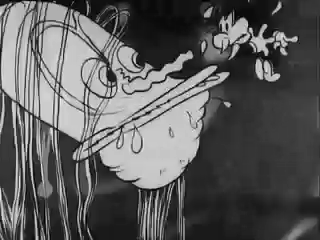 I made a sound file of the clip and played it back in VLC in slow motion. ‘Till we’ve picked up the noose’ is, I believe, correct, not ‘fixed up’ as I had at first thought. Even slowed down I can’t make out the mystery line…. I totally agree with the “finish, brother” instead of “visit from us”, and the line with chickens seems more correct than it had been before. I should be grateful if you, a native English speaker, explained the sense you say it makes. As the dictionary defines, “elope” stands for “slip away”, “run away”, “escape”. First, the dog did not make the chicken elope; it tried to steal it. Second, it would seem more logical if the structure “For making…” were followed by an action, like “you are brought to justice”, instead of some sort of state of mind, “you are at the end of your rope”. Is it syntactically correct to use such sequences? P.S. The versions I had published on DeviantArt as a comment and on YouTube as a comment are pretty obsolete, so this is the one that is renewed as soon as a reply arrives. P.P.S. I have made an .srt subtitle file that goes perfectly with VLC! The way I interpret “for making chickens elope” is along the lines of “for stealing chickens” — that is, for making them leave their coop (involuntarily though it may be). Hope this helps! I think its set instead of sent. I think this because if you were murdered, you could be left in the trash if someone was evil enough! — Where you want your body (set/sent)? Although the way it’s said is very ambiguous, ‘set’ makes the most sense. 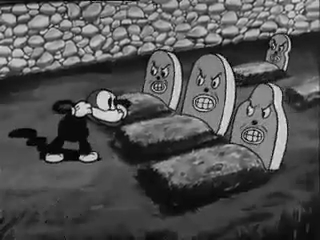 It means ‘where would you like to be buried’.